This simple prawn starter is courtesy of executive chef Henrik Ritzén at Nordic restaurant Aquavit, London. If you can’t get fresh horseradish, use 1 tbsp of horseradish sauce instead. 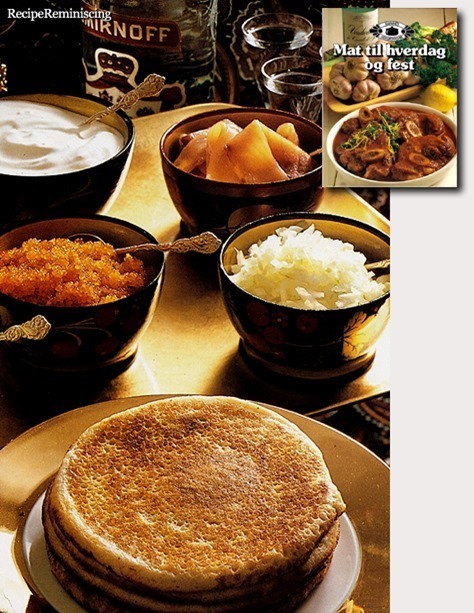 Blini (Russian: блин, blin, plural блины, bliny) are Russian pancakes with long traditions. “Blinis is a symbol of the sun, beautiful days, good crops, happy marriage and healthy children,” wrote the Russian author Aleksandr Kuprin. Blinis symbolizes the sun and represents a very important part of a festival, which celebrates that the long winter is over: “Maslenitsa”, pancake week. 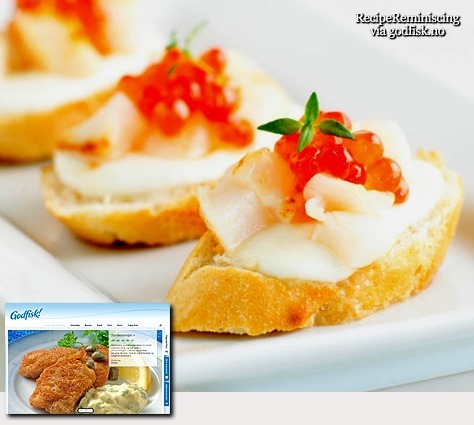 Town mayor toast with prawns toast or toast with luxurious touch of shrimp and caviar – perfect for starters! Nice little starter with smoked salmon, potatoes, eggs, and pickles. Can be served to old geezers too, but they do have their own spread called Punter’s Mix as well. 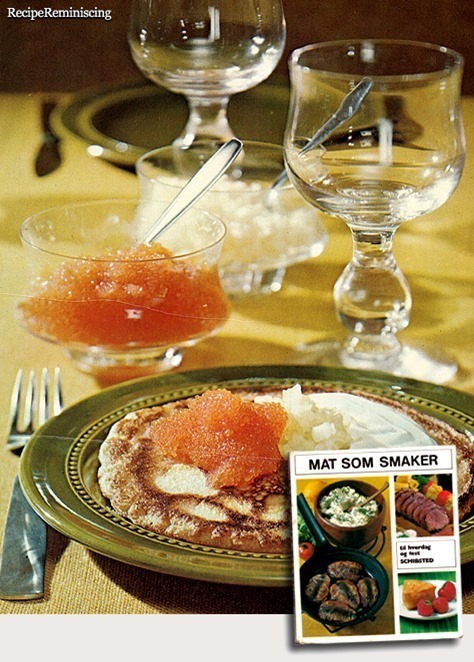 Caviar made with smoked cod roe is a very popular sandwich spread in Scandinavia and are available both in glass jars and in tubes like this one. 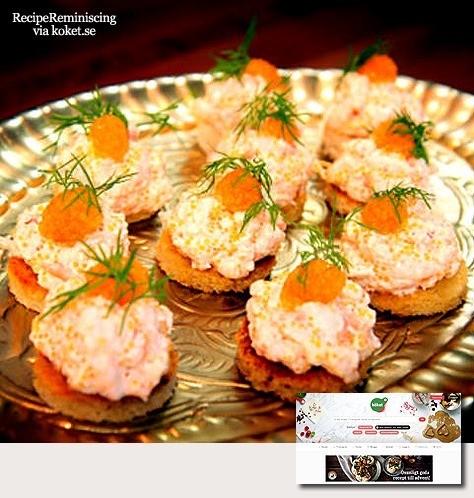 The caviar mousse and caviar cream in these recipes are made with unsmoked roe from cod or similar fish and that makes for a lot milder and smoother taste. 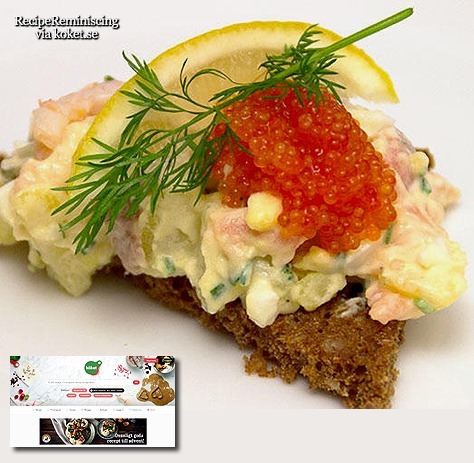 The Scandinavian open sandwich (Danish: smørrebrød, Norwegian: smørbrød, Swedish: smörgås or macka) consists of one piece of buttered bread, often whole-grain rye bread (Danish & Norwegian: rugbrød, Swedish: rågbröd), topped with, for instance, cheese, cold steak, shrimps, smoked salmon, caviar, hard boiled eggs, bacon, herring, fish fillets, liver pâté (Danish: leverpostej, Norwegian: leverpostei Swedish: leverpastej), and/or small meatballs. This is typically complemented by some herbs and vegetables such as parsley, cold salad, thinly sliced cucumber, tomato wedges and/or pickled beets etc. on the same slice of bread. Condiments, such as mayonnaise, or mayonnaise-based dressing is also often included in some form. 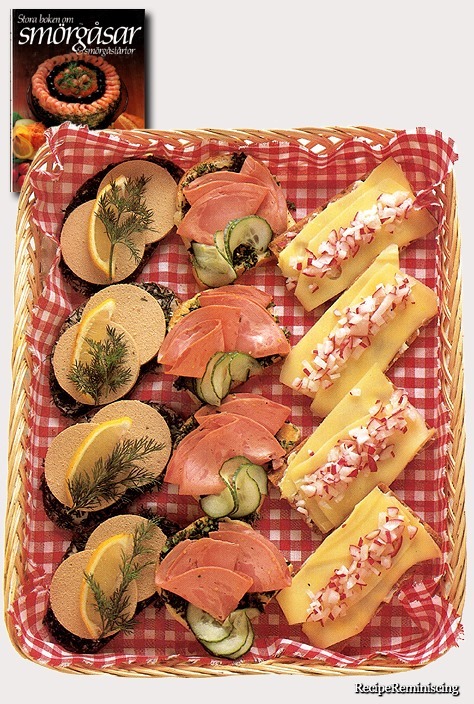 An old traditional replacement for butter on a piece of bread with herring is pork fat. 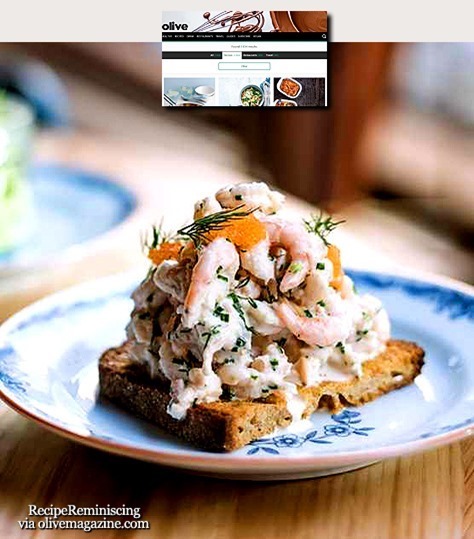 There are many variations associated with the smørrebrød/smørbrød/smörgås and there are even special stores, cafés and restaurants (especially in Denmark) that specialize in them. Bruschetta is suitable both as an appetizer and for lunch or tapas. 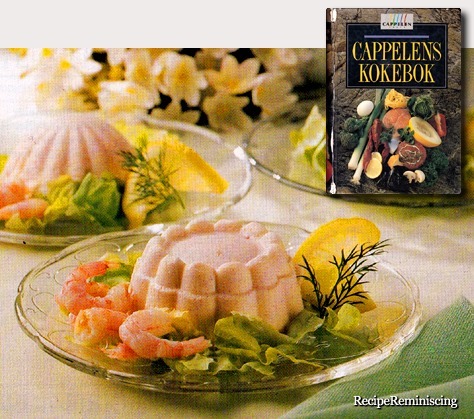 Here is a simple but delicious seafood variant of the dish.